In a recent interview, Michelle Obama made headlines when she said that women can’t, in fact, have it all. “It’s a lie,” she said. 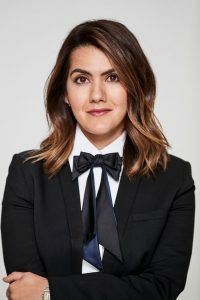 It’s a sentiment echoed by Cosmopolitan editor-in-chief Farrah Storr, who is firmly of the belief that striving for perfectionism in all areas of your life isn’t quite as noble an aspiration as it might seem. 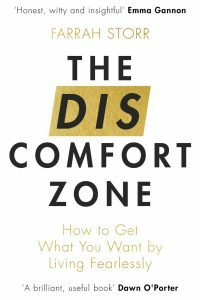 Her new book, The Discomfort Zone – a guide to getting what you want by living fearlessly – addresses that exact issue, pointing out that you have to decide. You don’t get to have everything; and you shouldn’t want to. Here, the editor and author tells us what she’s learned about success, failure and everything in between – and why having it all-ish, actually, is even better. “When I made the decision not to have children I thought my family would be disappointed, but they’re fine with it. I made the decision when I was maybe 37 or 38, and I think by the time you get into your late 30s, early 40s, you know yourself pretty well. You know your weaknesses, you know your strengths, you know what you’ve got to work with. And so even if I did let people down – perhaps I was a disappointment, or perhaps I wasn’t the symbol that people thought I should be – I was okay with that. But actually, the biggest struggle was communicating my decision. I would be at a dinner party and someone, because I look a certain age, would ask, ‘So, have you got a family?’ and I’d reply, ‘No’. And then they’d look awkward – and because my impetus is always to put people at ease, I would launch into this monologue about why I decided not to. There was this intense justification on my part, and you could see them thinking, ‘Why is she telling me this?’. “I think men and women are in slightly different places with the concept of ‘having it all’. There are different expectations on the sexes. For women, it’s ‘Can I have it all?’ and I think for men, it’s more of a sad realisation; ‘Is this what having it all looks like? Because I’m not sure I want these pressures and these demands’. I’m sure that many men, if they were really honest with themselves, would say that they don’t have it all. How do you know that men who are at the top, working 90-hour weeks, aren’t sat there wishing they could give it all up tomorrow and have more time with their children? The cultural message is that it would be somewhat odd, for a man to think that. When it comes to gender debate, I tend not to think in terms of gender – I tend to think in terms of individuals – but, generally speaking, men are thought to want the career and to provide for the family, and that’s expected of them. Of course, now we know there are a lot of bloody horrible consequences that come with that pressure – and that not every man wants that. Alternatively, women are expected to want to nurture, and so I in a way have broken the stereotype, which is unusual.